Mortimer Plumbing are Adelaide based commercial and residential plumbers. 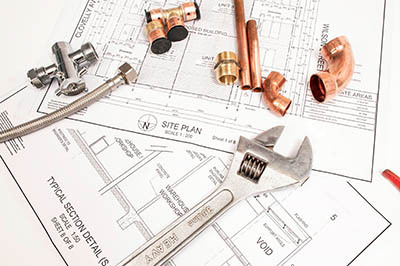 We have over 25 years experience in all facets of Plumbing and Gasfitting from household maintenance to commercial projects and will work together with you to find a practical solution to all your projects needs. Mortimer Plumbing offer a wide range of plumbing services accross Adelaide. Prompt and reliable domestic plumbing services across Adelaide. We offer a wide range of services to suit your business needs, including one off projects and maintenance programs. Mortimer plumbing will work together with you to find a practical solution for all of your plumbing projects. Contact Mortimer Plumbing for a free no obligation plumbing quote.
" We recently used Mortimer Plumbing on a complex architectural home. The team handled all the technical aspects of the project with professionalism and competence, the price was fair and the building clients loved Mortimer Plumbing's relational and reasonable approach. They are now our permanent plumbers. " Offering commercial and residential plumbing services across Adelaide, South Australia.